Happy Monday! I hope you all had a good 4th of July…ours was pretty rainy, so we didn’t get to spend too much time outside, but we did have lots of good food to eat and watched some fireworks on TV. For this week’s menu, it looks like we’re doing a worldwide culinary tour…I didn’t notice it until I sat down to write up this post, but we’re having Italian, Mexican, Chinese, and German foods. Everything will be cooked on the stovetop because it will be much too hot this week to use the oven. 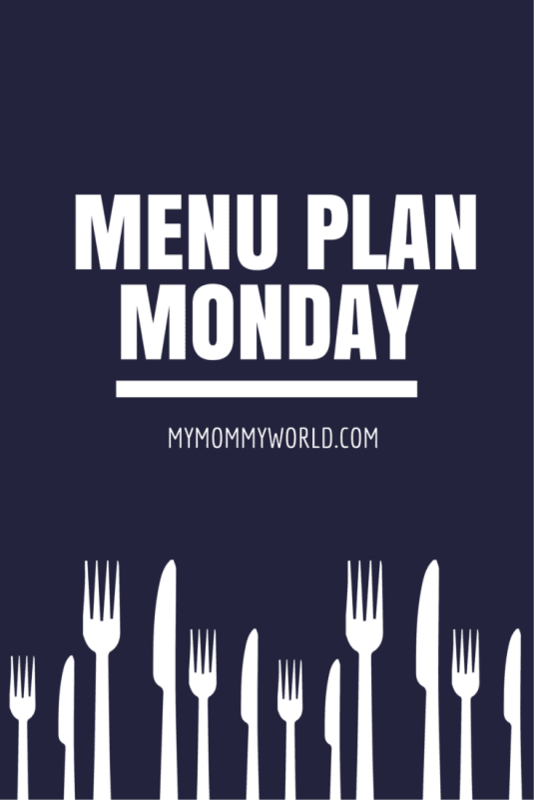 For help with your own menu plan, check out my post on menu planning for busy moms and the link-up at Org Junkie for more dinner ideas. Don’t forget to grab my free printable menu planner too! Sorry to hear your 4th was so rainy. That’s what it is usually like here, but not this year. When we went out to do our fireworks at 9:00pm it was still 85 degrees. Way to warm. They are saying we have three more days of above 90 weather, if we get them it will break a record. I’m so ready for the heat to go, our usual temperature during this time of year is 78 degrees. Hopefully we will be back down ther by the weekend. I’m keeping my menu easy for this week with stove top meals like skillet pizza pockets. Or we will be grilling to help keep the house cool. I hope you have a great week. Your menu looks delicious, Erin!